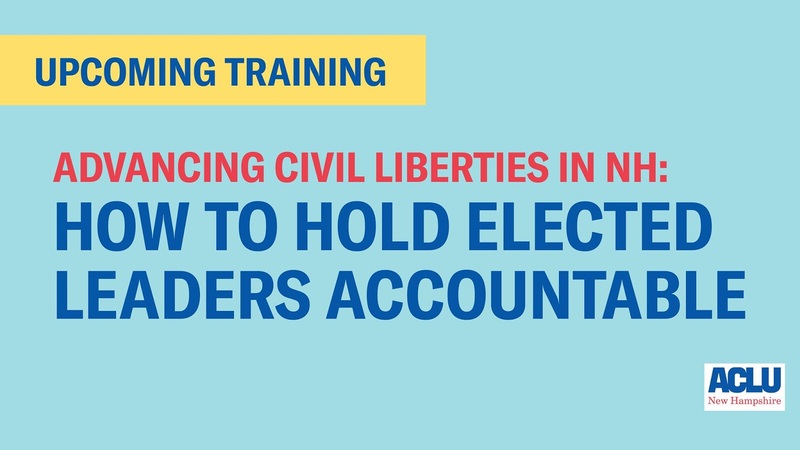 The ACLU of New Hampshire is working to build a movement of activists to advance and defend civil liberties in their local communities and statewide in NH. A key part of this plan is to build relations between elected officials and their constituents, including holding those officials accountable for decisions. In New Hampshire, 168 new State Representatives have just taken office and have yet to be engaged by their constituents on civil liberties issues. 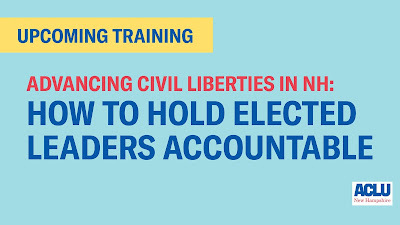 This workshop aims to educate you, the constituent, on a variety of civil liberties priorities, including the legislative repeal of the death penalty, ongoing efforts to reform our criminal justice system, standing up for LGBTQ and immigrant communities, and advocating for racial justice. We will provide space to develop community, train you on a variety of methods to influence elected officials, and take action!